You may think that the majority of research into creatine would be into if it works at all, and if so, how. But there's also been extensive research into how you should—or shouldn't—take it to maximize its effectiveness. One thing is clear: If you want it to work, you need to take it pretty much daily. "Creatine is not readily assimilated into muscle, as many people would think," says Darryn Willoughby, Ph.D., in the video "How to Get More Out of Your Supps." "Instead, it takes a while for creatine to saturate the muscle." For this reason, you probably need to take it consistently for several weeks in order to see any results in the gym. Also for this reason, if you've been simply taking pre-workout that contains creatine monohydrate a few times a week and trusting that it would be enough…it's probably not. Sorry. Undertaking an intensive five-day creatine "loading phase" may help accelerate things slightly, but probably not much. And it definitely increases the likelihood of experiencing some stomach discomfort, bloating, and some other temporary side effects. 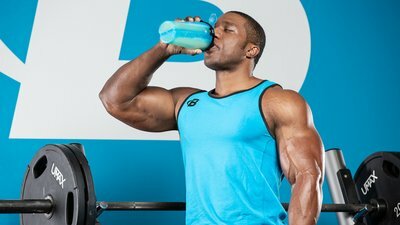 As for when in the day to take creatine, fitness journalist Adam Bornstein breaks down the options in his article "Before, After, or Whenever: The Best Time to Take Creatine?" Researchers have looked into the differences between taking creatine before a workout, after a workout, both, or just "whenever," and the differences have been minor. For this reason, Bornstein says, he's in the "Take it whenever, as long as you take it" camp. However, some researchers think there may be slight advantages to taking creatine at specific times. Jim Stoppani, Ph.D., recommends taking it before and after a workout for maximum benefit. And Jose Antonio, Ph.D., who co-authored a study on creatine timing in 2013, says there may be a slight advantage to taking it specifically post-workout. However, he adds that once you have been taking it consistently enough to have full creatine reserves in your muscles, it matters far less when you take it. Only if you're not taking it regularly does there appear to be a difference. If you've never taken creatine before, Krissy Kendall, Ph.D., says the best route is to keep it simple: Take creatine monohydrate, 3-5 grams a day. Don't miss a day, and the first time around at least, don't bother with a "loading protocol." Just add it to what you're already doing, and see what happens!